Next time you're reaching for your keys, no need to make it a stumbly grab in the dark. 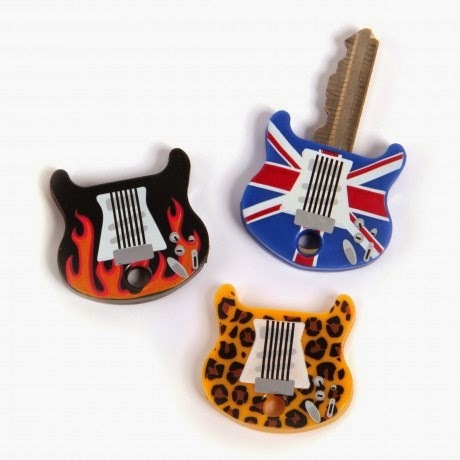 Rock it right from your pocket with these guitar-shaped key covers. Slip one of these rockin' Keytars onto your keys and you'll always be sure to grab the right axe. Set of six guitar-shaped key covers. Black, purple, gold, silver, red, & Union Jack.